….& developed into a top-quality institution known for its educational excellence - "education" extends beyond "schooling" in the classroom, "culture of kindness", diversity and contributions to the broader community. The school has grown, overcome and succeeded through collaboration, hard work and perseverance. The same ideals we want our children to embody. The same ideals taught on the football field. Never quit, stay in the game, persevere, show grit and – above all - stick together as a team. After playing in the State Championship with a coach who was voted Coach of the Year, Oxbridge's football program was canceled abruptly. For students, this leaves them without the opportunity to play, develop life-long friendships and potentially obtain college scholarships. 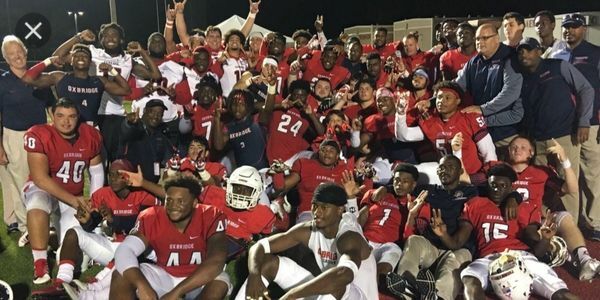 The administration has stated that the roster was too thin with dwindling commitment from the players, but there are players committed to staying at Oxbridge. Schools with far fewer resources maintain solid football teams. There is a way forward. We must keep this program alive and urge the school to collaborate on a solution. We are prepared to help with fundraising and other support. The culture of kindness is much appreciated by our families so we unite in our core values to move forward. Yay!!!! We did it! 1000 signatures in 2 days! Thank you OAF friends and family! But please don’t stop, the more signatures we have the better chance it will give us! Thank You! Hi Oxbridge Football Fans! Thank you so much for your support! This means the world to us! We have hit close to 100 signatures in under 2 hours! We just need one thing though... PLEASE SHARE this petition with your friends and family and ASK THEM TO SHARE TOO! We need to hit 1000 signatures before Monday June 25th! Thank You!